Known as “The Symbol of Vail Valley,” The Golden Bear tradition started in 1975, when the boutique opened in Vail Village. Their exclusive jewelry design became The Symbol of Vail Valley, enticing visitors and residents alike. Every piece of work is handcrafted in their Vail studio, utilizing the most precious of materials to ensure high quality. Gorsuch is a true Vail success story steeped in tradition and a love for skiing. Renie and David Gorsuch, both members of the 1960 U.S. Olympic Ski Team, met over a mutual love of the sport, which brought them to Vail. Here, they stated selling ski clothes out of their station wagon, and blossomed their business into seven locations. Their professional background influences the care in which they choose their high-quality products, ranging from ski wear to designer clothing and home decor. If you’re looking for the newest, top-of-the-line ski and snowboard equipment, look no further than Vail Sports. The highly knowledgeable staff will happily deck you out head to toe in the best of the best, making sure you have everything you need to look and feel good on the slopes. And, with seven locations, the convenience can’t be beat! Elevate your beauty routine at the incomparable Cos Bar. Since it began in Aspen in 1976, Cos Bar has been the expert in sophisticated beauty products and superior service. Pamper yourself with the world’s most luxurious beauty products and get personalized advice from our beauty experts. You’ll feel right at home in this charming boutique. Step into sophistication at Axel’s, a luxury boutique located right in Vail Village. From one-of-a-kind European designs to handcrafted American made cowboy boots, Axel’s defines elegance and ensures quality in every product. 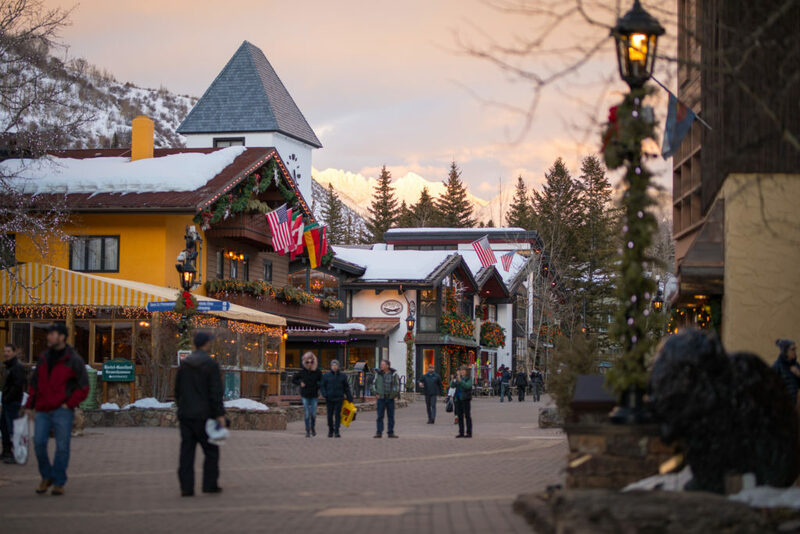 Treat yourself to handmade Italian leather shoes or a cashmere jacket to show off as you cozy up in Vail. If you want to feel like a cowboy, you have to look like one. Start walking the walk at Kemo Sabe, where you’ll find Vail’s premiere Western Wear. Owners Tom and Nancy will fit you for the perfect Stetson as you pull on your new favorite pair of Cowboy boots. Finish your look with a sterling silver belt buckle and vintage jewelry for the lady, and you’ll look like you stepped out of your favorite Western. For a winter getaway that words don’t do justice, start at the place that’s Like Nothing on Earth.